Bone marrow. Coloured scanning electron micrograph (SEM) of bone marrow from a fractured rib. Bone marrow lies in the spaces of the spongy (cancellous) bone within the centre of the bone. 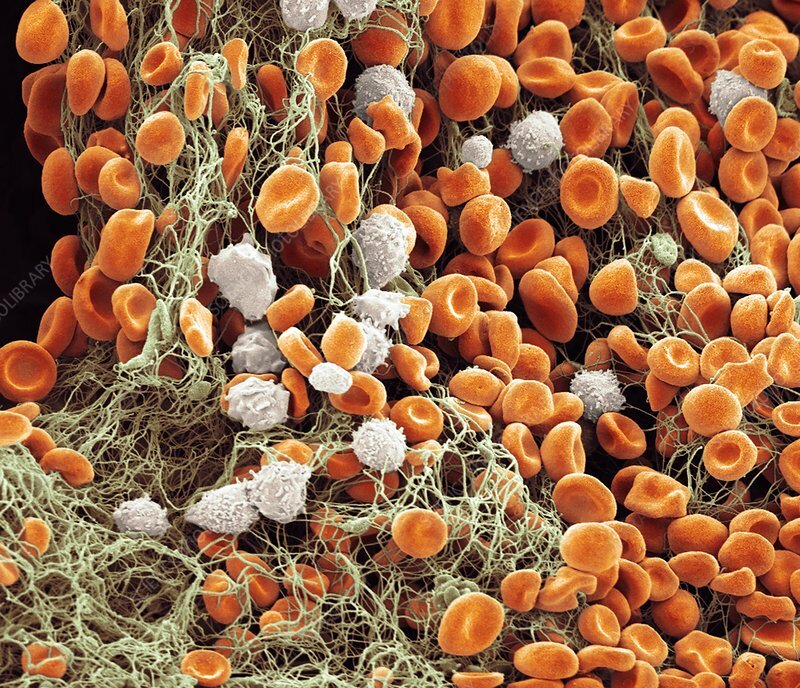 Bone marrow contains stem cells which, through the process of haemopoiesis, generate the three main types of cells found in the blood: red blood cells (erythrocytes-coloured red), white blood cells (leucocytes-coloured grey) and platelets (thrombocytes). Magnification: x 2500 when printed 10 centimetres wide.